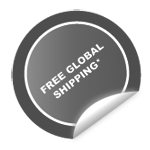 Radical Lights - Most powerful (2950 Lumens plus) lighting systems for MTB, Cycling, Mountain bike, Adventure. Light up your ride ! World Solo 24hr Champion! Cory Wallace wins a gruelling battle in Italy running his Radical Lights Podda Mk4 lighting up the night!! Jason McAvoy (40-44) and Garry James (50-54) World Solo 24hr Champions! Cory Wallace 4th Overall and Andy Kaye (35-39), 3rd! Great riding by Clayton Locke, Michael Culhane,and others. Jason 5th Overall too!! Andy Blair is new Australian National Marathon Champion! Jason McAvoy, Andrew Hall and Garry James also win category gold! Radical Lights Factory Racing. Newest endurance racing team this season. World Champion Craig Gordon (Solo 24hr) rides with the all new radical-lights Podda Mk3. MONT24hr: Rockstar Racing wins open men 4's with NEW radical-lights Podda mk3's on board! Top 5 FASTEST night laps ALL powered by riders with the Podda's! Andrew Blair wins Ingkerreke Commercial MTB Enduro. Andy also won the only night stage with his radical-lights Podda. SEA OTTER: Check out the NEW radical-lights Podda mk3 at the Project321 booth at sea otter. KONA 24hr, OLD PUEBLO: Congrats to Jonathan Davis, solo mens open 2nd and Scott Morris Winner CoEd in Tuscon! Simply sensational, considering the diabolical weather throughout the night with rain and 40mph winds! Mens open fours 2nd place and 10th places (Epic Endurance) also had radical-lights Podda Mk2's on board! James "Willo" Williamson - gentleman, sensational mountain biker, and awesome ambassador for our sport. Jimi is deeply missed by us all, but never far from our hearts. Powerful and easy to use lighting systems with pleasing beams that won’t tire your eyes. Light up your ride™, regardless of the conditions. Powerful: pound for pound, most powerful bike lights available. Fastest lap times are proof! lights we ran for this race were incredible, 6 hours of battery, thousands of lumens and all in a light weight package, some incredible technology from an innovator that is years ahead of the others. "..sufficient power to stun a kangaroo and perhaps even kill smaller wildlife, or at least blind them". "..lower power RAD3L uses only three LED's and puts out 975 lumens. This is obviously less powerful, but unless you’re planning to start a business on the side diverting aircraft, it’s more than enough". "Operation is a snap; a single button on the back of the light is easy to access for changing modes on the trail." These are just some of the comments in the Australian Mountain Bike magazine review. "The whole lighting system is typical of a system designed by people who ride themselves. The light includes plenty of thoughtful features and all the little things, like a Velcro strap to secure the helmet cord. 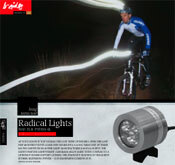 If you’re in the market for a high-powered set of lights, check out Radical Lights." Rockstar Racing are riding radical-lights for the season. You can see the new Podda, RADXL, and theChutta's on the teams new GIANT anthems. Rockstar Racing team of Troy Glennan, Peter Hatton, Matt Fleming and their radical-lights will certainly be lighting up the night laps with their awesome output levels and smooth beam patterns.